Feature On 30 August, 1963, a new bit of sound recording tech that was to change the lifestyle of millions was revealed at the Berlin Radio Show. 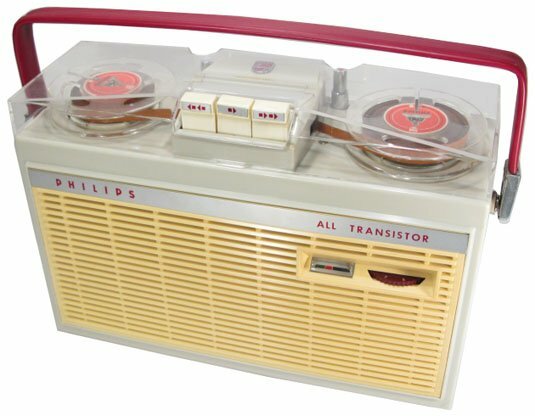 The adoption of the standard that followed led to a huge swath of related technological applications that had not been envisaged by its maker; for Philips, the unveiling of its new Compact Cassette tape and accompanying recorder was about enticing people to buy a fuss-free portable recording system. Sonically, the Compact Cassette recorder was no hi-fi and, from the start, was never meant to be. Instead, the company had succeeded in putting together a format for recording, storing and playing back audio that immediately made sense - and delivered so many convenient improvements over existing systems that its success was assured. Although the Compact Cassette tape (now just known as the cassette tape) was a new design for handling tape media, what Philips had produced was an innovative approach to existing technologies rather than an out-and-out invention. 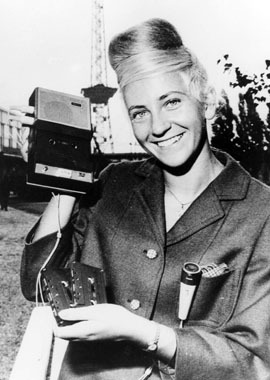 Having decided on the format specifications of tape width, track width and tape speed, the firm's engineers went about designing the circuitry and physical mechanisms that would deliver acceptable results for dictation, among other tasks, and eventually music playback akin to a decent portable radio. Indeed, the emphasis was very much on portability, and Philips had no intention of trying to match the fidelity of reel-to-reel recorders that had marker-pen-thick track widths and fast tape speeds. If you needed superlative sound quality, then those tape machines were there and would continue to be for many decades more in pro audio circles. Admittedly, with few exceptions, pro audio gear of the time wasn’t very portable as the tape reels were sizeable, and so was circuitry and motors required. Using smaller reels limited recording times and while slower speeds would extend this, their use did affect the overall sound quality. Also simply threading a tape into the gear could become quite problematic in challenging conditions such as, for instance, radio reporting on the move in a war zone. And to consider reel-to-reel tape as in-car entertainment was impractical at best. Given a lack of alternatives, people took what was available and Philips made a portable reel-to-reel system for ordinary folk in the late 1950s, the EL 3585, which did exceptionally well. Buoyed by its success, Philips focused on portability, rather than high fidelity, as it considered how to package tape in a new format. The company didn’t have to look far either, as RCA Victor was already touting its own Sound Tape Cartridge which had a 0.25in-wide tape, but as it ran at 3.75 inches per second (IPS), it needed to be fairly large to hold enough tape to run for 30 minutes per side – on some models the head moved laterally, rather than requiring the tape to be flipped. The Sound Tape Cartridge could hold stereo audio; alternatively, one could record in mono on all four tracks independently to get two hours out of it. Punters could drop down to 1.875 IPS to double the capacity, but the quality wasn’t particularly impressive. An archive RCA Victor advertisement from 1958 demonstrating the cartridge is embedded below. The fun starts at 7 minutes, 47 seconds. In an interview with El Reg published here, Lou Ottens, the Compact Cassette team leader at Philips, noted that Peter Goldmark from US broadcaster CBS had proposed a single-reel cartridge with 0.15in width (3.81mm). Philips recognised that this narrower tape width was the way forward. It’s actually slightly larger than the eighth-of-an-inch that many people assume cassette tape to be. Goldmark wasn’t alone in this cartridge proposal, though, as CBS had American manufacturing megacorp 3M on board. In 1959 and 1960, The Billboard magazine, as it was called then, was breaking stories about this emerging single-reel format, which, although short-lived, did deliver technological advances in tape particle formulation and used thinner tape. It was also three-track stereo, the third track apparently dedicated to recreating ambience and reverberation. Indeed, the combined efforts of CBS and 3M proved that this narrower tape width running at 1.875 IPS was capable of sound reproduction that would be good enough for the consumer market. Punters would also welcome the lower per-minute recording costs that narrower and slower tape afforded. And having thinner tape allowed for smaller reels too, ideal for portability. With this raw tape specification already established by 3M, Philips was able to get busy with designing a product. However, it disregarded the idea of a single-spool cartridge, which could be temperamental and needed to be rewound after use. 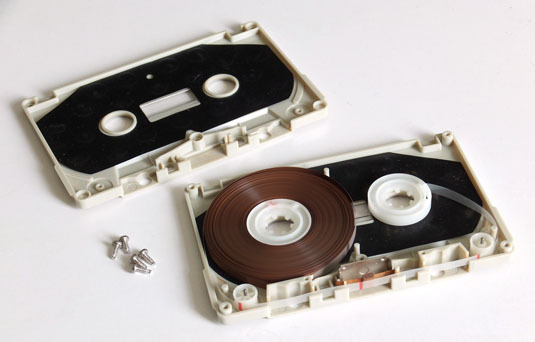 Like some earlier encapsulated tape designs, the Compact Cassette did away with flanges, which are the protective outer rims on reel-to-reel spools that shield the actual tape (see the photo below). These large spools were always of a particular size and two were required, so you’d always need to make space for them both. Going flangeless meant that the tape hubs could be closer together and protected inside a case – it was yet another way of scaling everything down. On the subject the size, Philips had its own ideas on how big the Compact Cassette recorder should be and advances in electronics aided the process of fitting everything in. The emphasis was always on portability and, consequently, its engineers had to start from scratch.